Palomar laser machines handpieces are countless and it can be a bit daunting to select what you need. If you’re searching for a handpiece for palomar or parts you can take a look at our Palomar Parts page. 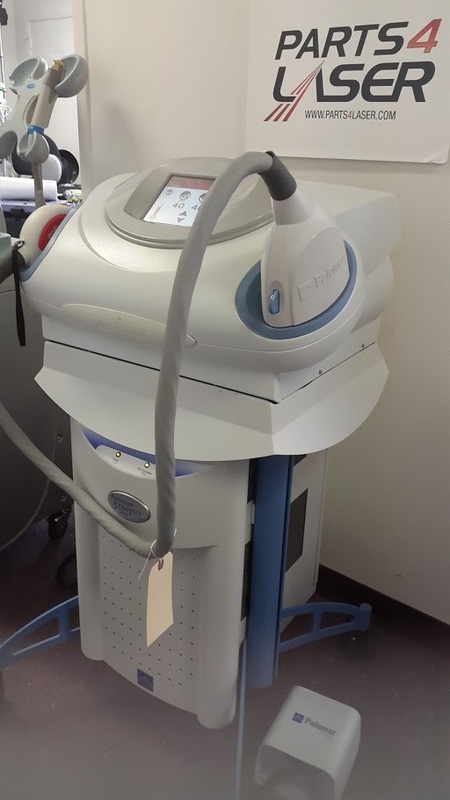 Cosmetic laser equipment is often designed with extensions in mind. This is especially true for the Palomar laser machines. These extensions, hand pieces, delivery systems, or fiber optic cables, depending on the brand allow you to extend your reach of clients as you can tailor your services to different groups of people. Different handpieces means different treatments. Different equipment can penetrate different skin types more effectively and help provide better results. Here is a brief list of palomar handpieces. The LuxR is a laser hair removal handpiece. works on all skin types, including tanned skin. Large spot size covers large areas. LuxRs has a small spot size capable of targeting tight places for laser hair removal. Works on all skin types, even tanned skin. LuxV is primarily used for the treatment of acne. It prevents future acne flareups and is also used to target pigmented lesions. LuxYs is a high powered handpiece, and like the LuxY, it treats hard to remove fine, light hair. Also great for dark pigmented lesions. The LuxYs has a small spot size of 12X28mm is perfect for difficult, resistant areas. Spot size is 12X28mm. MaxG offers remarkable light powered performance for clearance of vessels and pigments. Perfect for larger and deeper facial vessels. Spot size is 10X15mm.